Ritchie Dave Porter has received worldwide radio play on the very best Blues and Rock stations and has had two USA Radio Specials ,"Living Room Blues Special with Ritchie Dave Porter" on KCOR and "Special Edition with Ritchie Dave Porter" on Debbie Scott's Radio Network in the USA dedicated entirely to his blues music. Ritchie was special guest artist on The Blues Magazine Show at TeamRock in London performing live on his electroacoustic EKO Laredo and was interviewed there by Big Boy Bloater a week after Joe Bonamassa and Beth Hart were guests. Ritchie Dave Porter has been playing the guitar for thirty four years having started at the age of eleven years old ,influenced by Jimmy Page, Jimi Hendrix, Stevie Ray Vaughan, Robert Johnson, Eric Clapton and Johnny Winter. There have been three album releases on CD and digital download, "Rocking The Blues"(2014), "Acoustic Blues EP"(2015) and "Working Class Bluesman"(2016) available at ITunes, Amazon and Cdbaby and two singles ,"Just Need Blues"(2015) and "When I Get Back Home"(20Show). Ritchie has received many excellent reviews from Rock and Blues publications and broadcasters around the world for the excellence of his guitar playing and songwriting ability. Ritchie has received "Album of The Week" twice on KCOR Acoustic Blues Club radio show in the USA. 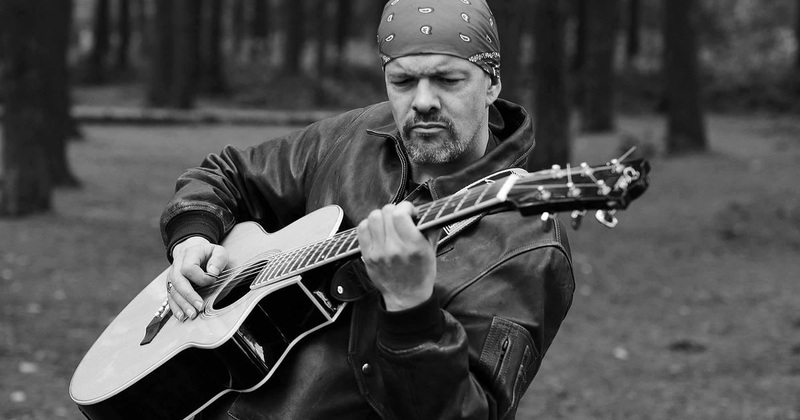 Ritchie has undertaken two solo acoustic blues tours of Germany to great critical acclaim and has performed at both Rock and Blues Festivals in the UK and Germany. Ritchie Dave Porter has an official website www.ritchiedaveporter.co.UK for all album releases,reviews and videos. Ritchie plays EKO Laredo electroacoustic guitars on all his album releases.